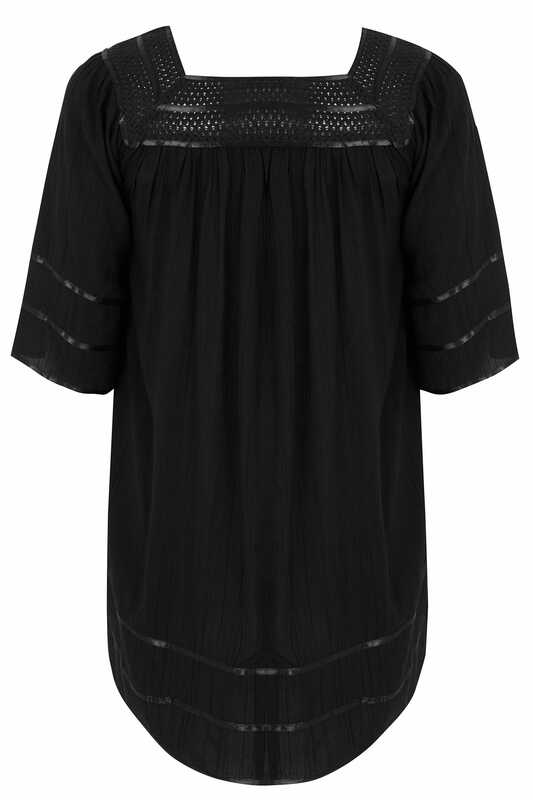 Keep your look chic with this pretty blouse. 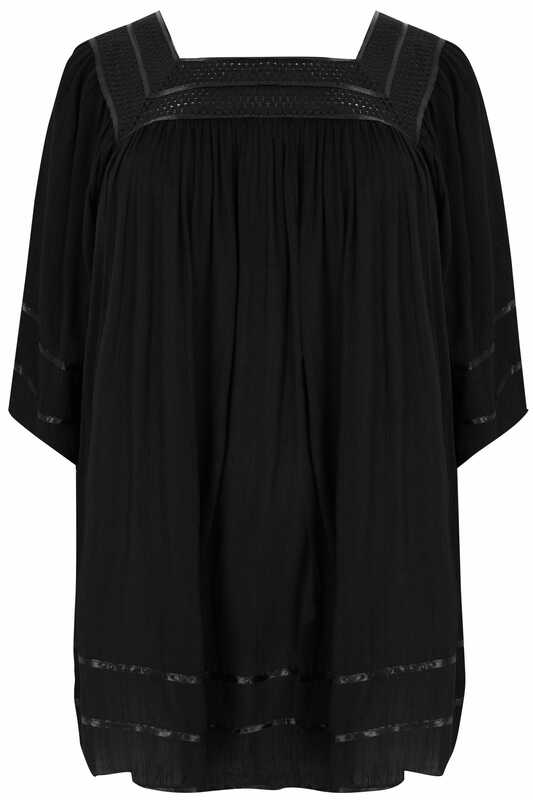 Made from a lightweight fabric, it features oversized sleeves, tipped details and a crochet square neckline. Team with denim and flats for effortless daytime appeal. A styling staple - perfect for day-to-evening.